The United States of America is a federal republic which is located in the central region of North America between Mexico and Canada. It is most commonly referred as the "United States", "America", "USA", the "US", or simply "the States". The country is the 4th largest country by area in the world and accommodate the world's third largest population. The United States is well known of being one of the most ethnically diverse country in the world and a home to many multicultural people who have immigrated in mass from different countries. The country covers a vast diversity of ecosystems and features certain extreme and extensive geographic features; varied climatic conditions; complex and distinct cultural and regional identities. The United States is the most powerful country in the world roughly based on military, economic, technological and foreign affairs capabilities. The US has the world's highest military expenditure and the greatest soft power. The Economy of the Unites States leads and influences the global economy and is often referred as the "engine" that drives the world economy and the nation is adequately equipped for global power projection. The recent economic recession is a practical example of how the global economy is enormously effected by the US economy. The major percentage of funds circulated across the globe in international trade are United States dollars. The most significant mission of the United States foreign policy maintains to be preserving and protecting the independence of the nation, freedom of its commerce and peaceful foreign relationships. The United States participates in dealing with many international problems and cooperate to serve the global interest. The financial markets of the US is one of the largest markets in the world and tremendously influential. Based on market capitalization, the New York Stock Exchange, undoubtedly by far, stands as the largest stock exchange in the world. The nation's foreign trade policy is well organized and developed. There are great deals of foreign investments made in the US and also the nation has invested huge amount in other foreign countries. Due to its geographic advantages, the United States has bountiful natural resources with a well structured infrastructure, one of the world's biggest trading and manufacturing nation. The US has high productivity and is ranked the 3rd largest oil and natural gas producers in the world. It is a home to many large companies of the world and several companies have their headquarters in the United States. The US with its greatest soft power, leads the world in finance and business (Wall Street), high technology (Silicon Valley), the movies (Hollywood) and higher education (a home to several world's top universities). The United States is a hub for world trade and has the highest GDP in the world. The immigrants influx in the country every year is highest than any other country in the world. The United States also has many geographic advantages, encompassing world's largest continuous mass of arable land and many natural resources. With its world's greatest maritime transport system, it is capable of transporting massive bulk of crops and other resources, throughout the world. The United states with all its resources and soft power, is acknowledged as the world's most influential country, with the capacity to undertake major international issues. United States was discovered by Christopher Columbus, who arrived in America in 1492. He was financed by Spain and landed in Bahamas. In the early 16th century, Spanish explorer Juan Ponce de Leon landed on the coast of Florida. Americans lived in what is presently known as the United States for thousands of years before European colonists began to arrive, mostly from England, after 1600. Jamestown, Virginia was the first successful English town in North America as English people first went there in 1607. The French settled along the Mississippi River and the Gulf Coast and the Spanish settled in Florida. There were 13 colonies by 1733. Soon Americans started believing that they were not being treated equally to the Englishmen living in England. After merely two years, Revolutionary war took place between the colonies and England. People from the thirteen colonies created the United States Declaration of Independence on July 4, 1776. Congress party met in Philadelphia to write a new article in 1787 which was later adopted in 1789. George Washington was unanimously elected president of the United States in a vote by state electors on Feb. 4, 1789. After his becoming the President, Constitution came into effect and ratified by 9 states. U.S. Supreme Court met for the first time at the Merchants Exchange Building in New York City on February 2, 1790. Bill of Rights, the first amendment to the constitution was done on Dec 15, 1791. The slavery problem was increasing day by day and aggravated political battles. Slavery was abolished in north part but was still in practice in south. Abraham Lincoln presidential election was based on ending the slavery and punishment for those who practice. "United States" is the continental United States encompassing 48 contiguous states and Washington, D.C., Hawaii, Puerto Rico, Guam, Alaska, the Virgin Islands and several U.S. territories. The country comprises of densely populated cities with busy suburbs and large expands of wilderness regions, uninhabited and magnificent landscapes, and water bodies. USA is one of the world's famous tourist destinations which offers innumerable tourist attractions ranging from the natural wonders of Yellowstone and Alaska; to the skyscrapers of New York City, Manhattan and Chicago; to the sunny and rejuvenating beaches of Hawaii, Florida, and Southern California; to the resort city of "Las Vegas". The United States is a topographically varied country. The United States may be broadly classified into eight physiographic divisions, beginning from eastern regions to the western part, namely - the Atlantic–Gulf Coastal Plain, the Appalachian Highlands, the Interior Plains, the Interior Highlands, the Rocky Mountain System, the Intermontane Region, the Pacific Mountain System and the Laurentian Uplands. The federal government of the United States is established and guarded by the Constitution of the United States. The federal law is the highest law and at times of implied conflict, it supersedes all state laws. The United States Constitution is regarded as the world's oldest written constitution which is still effectively in use. Each state of the US has its own constitution and is regarded as a discrete sovereign. The citizens of all states have the right to vote to elect federal President, Senators and representatives. There are two main political parties in the United States, namely the Republican Party and the Democratic Party. These two parties work at the federal as well as the state levels. The United States federal government comprises of the executive branch which is led by the President of the United States and his administration, the legislative branch of the United States consisting of the Congress, and the judicial branch consisting of the Supreme Court and lower federal courts of the United States. The State governments are also established in the similar framework with governors, legislatures, and judiciaries. Law enforcement in the United States operates as one of the vital branch of the USA criminal justice system. Law enforcement agency (LEA), as the name suggests, is responsible for the enforcement of laws in the country. The authority to the Federal law enforcement authorities are delivered to them under various parts of the United States Code (U.S.C.). The governmental police agencies administer the law enforcement in federal, state, county and municipal level. The police agencies has the huge responsibilities and duties to investigate suspected criminal activity; to forward the investigation results to the courts; manages the custody of suspected criminals awaiting judicial orders and also enforce writs, warrants and court orders. In general, the police agencies are the vital department which is dedicated to ensure law and order and safety of the people and property by deterring and preventing criminal activities. The United States is ranked among the world's top 10 in per capita GDP (nominal) and per capita GDP (PPP) and also has high median household income. The financial markets of the US is one of the world's largest markets and is tremendously influential to the entire world. Based on market capitalization, the New York Stock Exchange, undoubtedly by far, stands as the largest stock exchange in the world. The nation's foreign trade policy is well organized and developed. There are great deals of foreign investments made in the US and also the nation has invested huge amount in other foreign countries. Due to its geographic advantages, the United States has bountiful natural resources with a well structured infrastructure, one of the world's biggest trading and manufacturing nation. The US has high productivity and is ranked the 3rd largest oil and natural gas producers in the world. It is a home to many large companies of the world and several companies have their headquarters in the United States. The US companies are leading in technological advances, such as in medicals, computers, aerospace, and military equipments. The culture of the United States is described as "western culture". The nation's culture is an intermingling and blend of many other cultures such as the native American, Latin American, African, Polynesian and Asian. Due to mass migration from different countries, the US is home to several diverse ethnic groups and these groups brought in the country many varied cultures and traditions. Each and every city in the US has its own culture, and even more, within cities itself, there are many different races and cultures. The country proudly safeguards its unique music, dialect, arts, cuisine, folklore etc. The tinge of British culture on the American society was added by the European settlers during the British rule of colonial America. Due to its large size and demographic diversity, the American culture is a blend of liberal, conservative, religious elements and also a reflection of those cultural remnants of the Indigenous Americans, and other ethnic cultures. The Unites States does not have any official language at the federal level but at the state level, 28states have accepted English as their official language. The American English is known as the national dialect of the US. There are many other regional dialects and the four major dialect regions in the US are the North, the South, the Midland, and the West. USA Department of Transportation coordinates the planning and development of a safe and balanced transportation system serving people of the country in all the regions. The department manages efficient movement of people or goods of the country. The transportation system of USA includes roadways, airways, railways, waterways, spaceports, bicycle paths, pedestrian facilities and bus transit. The National Highway System consists of roadways which are important to the nation's economy, defense, and mobility. The USA provides rail facilities across the entire the country. Long-distance trains in the USA are operated by the National Railroad Passenger Corporation, better known as Amtrak. Air transport is an essential gateway of USA that serves the locals and tourists from all over the world. It is the major mode that offers all round efficient and easy connectivity. The Federal Aviation Administration authorizes and oversees all flight operations in the United States. The United States education system comprises of the public and private schools, higher education and post secondary education. Under the administration and funding from the federal, state and local governments, the public education system in the United States is managed and operated by the United States Department of Education. The public schools operate under the policies and rules set by the school boards. Depending on each state law, education is made compulsory from an age group ranging from between five and eight to between sixteen and eighteen years of age. The children of the United States may either enroll in any public school, parochial school (religious affiliated primary or secondary school), nonsectarian schools (secular schools not affiliated to any religious groups) or home school. The United States is also home to many outstanding internationally recognized private and public institutions of higher education colleges and universities. Based on some of the distinguished international rankings, around 13 to 15 colleges and universities of the United States are ranked among the world's top 20. The country also has many community colleges offering varied programs to choose, lesser tuition fees and not so strict admission policies. The American sporting culture plays a very significant role in the lives of probably all the people of the nation, regardless of being young or old; male or female. Sports is also an important curriculum in the country's education system. Almost all high schools, colleges and universities have organized sports teams. College sports are very popular in the US, especially college basketball and college football are some of the popular and favorite sports among the many other sports which are played. The college sports in the country is sanctioned majorly by the National Collegiate Athletic Association (NCAA). The United States Department of Health and Human Services (HHS) works efficiently to improve the health and living standards of the community by implementing many health regulating services and policies. The department is also working diligently in providing important human services to the people. Various divisions and sub-divisions work concurrently with the department to optimize the health standards and offer essential services to the people. The department also maintains all health vital records of the citizens of the United States. Paramedics in the United States are paraprofessionals, who work as a part of Emergency Medical System (EMS) and provide primary superior emergency medical care for emergent and critical patients. Tourism is a huge industry in the United States. The tourism sector serves many millions of people from all over the world annually. The United States is home to several exhilarating tourist destinations ranging from natural wonders to magnificent man made wonders. The sector is a principal part of the country's economy and is one of the largest employers of the nation. 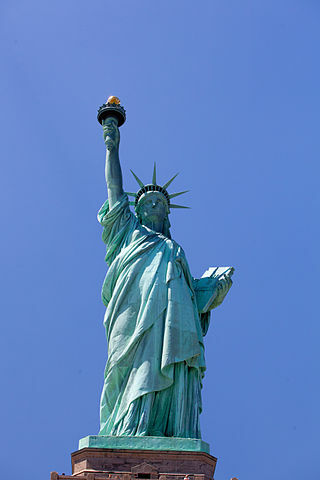 The United States attract the second highest number of tourists every year, just after France. Many plans and programs are implemented to improve USA's transportation network to meet the ever increasing demands of tourist influx in the country. It is the largest city in the United States and hub of the financial services and media industries. The city also offers cosmopolitan dining places, world class cuisines, arts, architecture, and high end fashion and shopping centers. For more details about NYC, Click Here. It is the capital of the nation. Washington D.C has popular significant museums and monuments, and also showcases several mulch-cultural communities. Read more about Washington DC. It is commonly known as the City by the Bay and features lively urban neighborhoods, the Golden Gate Bridge and dramatic fog. Get more details about SFO here. It is a place known of having five distinct climates within 200 miles (321km), featuring rich museums, recreational activities and beautiful monuments. Explore more about Seattle. It is the ultimate gambling city, located in the Nevada desert and encompasses many of the world's top 20 biggest hotels. The city is a gambling hub which is globally famous for its casinos, extravagant nightlife and vibrant shows. Discover the Sin City, Las Vegas. It is not only USA's second largest city, but a hub of entertainment industry, artists, musicians, and surfers. The pleasant weather condition, coupled with magnificent natural beauty ranging from mountains to beaches, vast stretches of freeways and shopping centers, make the city even better. Hollywood is the entertainment hub which is located in the vicinity of the central part of Los Angeles, California. Explore the enchanting City, Los Angeles. The region features lively and exotic Latin-influenced Caribbean culture and a destination for many sun-seeking locals and tourists. The city is adorned with many beautiful beaches. Learn more about Miami. New Orleans is a city well known for its unique Spanish and French Crealo architecture. The city is also very popular for its distinct cultural mix and multilingual heritage. "The Big Easy" is the birthplace of Jazz, and is known for its quaint French Quarter and annual Mardi Gras celebration. It also offers many range of delicious unique cuisines to relish. For more details on New Orleans, Click Here. Boston is one of the oldest cities in USA and is home to many significant historical events and sites. The city is very popular for its colonial history. The city has many colleges and universities, thus making it an international center for medicine and higher education . The passion for sports is very much evident among the residents and university students. Click Here to read more about Boston. It is the country's 3rd largest city and the transportation hub of the United States. Chicago manifests architectural beauty at its best, featuring several massive skyscrapers and is home to some of the nation's tallest towers. Get more details about Chicago. There are many federal and cultural holidays observed in the United States. Federal holidays in America include holidays that are observed by the federal government, state and local government and banks. In the United States, if a federal holiday falls on a weekend, then most government offices remain closed on the nearest non-weekend day. Dating back since the early 1970s, there is a certain holiday tradition being followed in the US, in which, certain federal holidays, such as Memorial Day and Labor Day are assigned on a particular Monday every year, instead of a fixed calender date. This is an effort of the nation to respect the employees and grant them three-day weekends. The United States Foreign embassies & consulates also observe the federal holidays while the private sectors may be working or opened for few hours on most holidays except New Years, Labor Day, Memorial Day, Thanksgiving, the Friday following Thanksgiving and Christmas. Additionally the Postal Service retail counters of the United States remain closed on federal holidays while airport and national parks security function all year round, 365 days a year regardless of federal holidays. National Motto - "In God We Trust"
The United States uses a system of measurement which is very similar to that of the British Imperial System. The metric system is used in engineering, scientific and military applications. The United States official currency is United States dollar ($) (USD). The rate of conversion varies daily and can be checked online. The dollar is colloquially referred as the "buck". The American bills are available in $1, $2, $5, $10, $20, $50 and $100 bills and all are of the same size with slightly different colors. The standard coins are available in penny (1$, copper color), nickel (5$, silver color), dime (10$, silver color) and quarter or quarter dollar (25$, silver color). During any emergency, a person may call 911 (free of cost calls) which will connect you to the area's emergency service dispatcher such as police, ambulance, fire etc. The telephone numbers in the United states are managed and administered by the North American Numbering Plan (NANP). For long distance calling, "1" is prefixed before the phone number. The "white pages" and "yellow pages" are the telephone directories used where all phone numbers are listed. The US declares that it is illegal and punishable with a fine to hunt, kill any bald eagle and even to keep a bald eagle's feather. If a person is caught possessing feathers of any bald eagle, a fine of $100,000 is charged for each feather he/she possesses.